Our customer bought a Late model diesel ute, 2012 Ford Ranger to us. He had received a bad batch of fuel in his car (water in the fuel) . Any water in a Late model Common rail diesel injection system, does incredible damage. 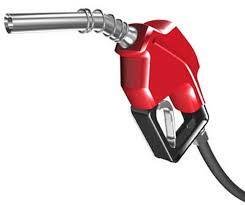 Modern diesels are powerful and have good economy BUT are sensitive to bad fuel. The Quote to Repair fell within the 10-15K mark because the whole system needs replacing / cleaning. The Injectors, Injector pump and some sensors need replacing and parts are expensive. Work is labour intensive and whole system needs resetting. If you or anyone you know has a late model Turbo Diesel the best protection you can have is an additional fuel filter and water trap installed to minimise this. Also make sure you keep all your fuel receipts in case this happens to you. As you shouldn’t have to pay the excess on your repairs, as your insurance company can claim from the fuel company. We can install these kits for a few hundred dollars (aprox $300-$500??) depending on the vehicle. Give us a call and let us advise you on how to avoid this massive expense.